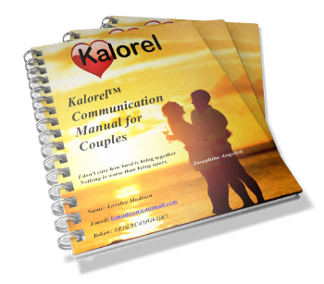 Your access to and use of Kalorel is subject exclusively to these Terms and Conditions. You will not use the Website, and/or Kalorel products and services, for any purpose that is unlawful or prohibited by these Terms and Conditions. By using the Website, and/or any of Kalorel’s products and services, you are fully accepting the terms, conditions, and disclaimers contained in this notice. If you do not accept these Terms and Conditions, you must immediately stop using the website. 2.1 Personal Identification Information. We may collect personal identification information from Users in a variety of ways, including, but not limited to, when Users visit our site, register on the website, place an order, fill out a form, respond to a survey, subscribe to the newsletter and in connection with other activities, services, features, or resources we make available on our website . Users may be asked for, as appropriate, name, email address, mailing address, phone number, and credit card information. We will collect personal identification information from Users only if they voluntarily submit such information to us. Users can always refuse to supply personal identification information, except that it may prevent them from engaging in certain website-related activities. 2.2 Non-personal identification information. We may collect non-personal identification information about Users whenever they interact with our Site. Non-personal identification information may include the browser name, the type of computer and other technical information about Users’ means of connection to our Site, such as the operating system, the Internet service providers utilized, and other similar information. To provide service to a specific order. We do not share this information with outside parties except to the extent necessary to provide the service. To send periodic emails. The email address Users provide for order processing will only be used to send them information and updates pertaining to their order. It may also be used to respond to their inquiries, and/or other requests or questions. If Users decide to opt-in to our mailing list, they will receive emails that may include company news, updates, related products or service information, etc. If at any time the User would like to unsubscribe from receiving future emails, we include detailed unsubscribe instructions at the bottom of each email, or User may contact us via our website. 2.5 How we protect your information. We adopt appropriate data collection, storage, and processing practices and security measures to protect against unauthorized access, alteration, disclosure, or destruction of your personal information, username, password, transaction information, and data stored on our Site. Sensitive and private data exchanges between the Site and its Users occur over a SSL secured communication channel and is encrypted and protected with digital signatures. 2.6 Sharing your personal information. We do not sell, trade, or rent Users’ personal identification information to others. We may share generic aggregated demographic information not linked to any personal identification information regarding visitors and Users with our business partners, trusted affiliates, and advertisers for the purposes outlined above. We may use third-party service providers to help us operate our business and the Site or administer activities on our behalf, such as sending out newsletters or surveys. We may share your information with these third parties for those limited purposes, provided that you have given us your permission. 2.7 Compliance with children’s online privacy protection act. Protecting the privacy of the very young is especially important. For that reason, we never collect or maintain information at our Site from those we actually know are under 13, and no part of our website is structured to attract anyone under 13. The contents of the Kalorel website and the products or services provided, generated, distributed, or sold by Kalorel, do not constitute advice and should not be relied upon in making or refraining from making, any decision. All material contained on KALOREL is provided without any explicit or implicit warranty of any kind. You use the material on Kalorel at your own discretion. The website may include links to third-party websites that are controlled and maintained by others. Any link to other websites is not an endorsement of such websites, and you acknowledge and agree that we are not responsible for the content or availability of any such sites. Users may find advertising or other content on our website that links to the sites and services of our partners, suppliers, advertisers, sponsors, licensors, and other third parties. We do not control the content or links that appear on these sites and are not responsible for the practices employed by websites linked to or from our Site. In addition, these sites or services, including their content and links, may be constantly changing. These sites and services may have their own privacy policies and customer service policies. Browsing and interaction on any other website, including websites which have a link to our Site, is subject to that website’s own terms and policies. 6.1 All copyright, trade marks and all other intellectual property rights in the website and its content (including without limitation the Website design, text, graphics, and all software and source codes connected with the Website) are owned by or licensed to Kalorel or otherwise used by Kalorel as permitted by law. 6.2 In accessing the Website you agree that you will access the content solely for your personal, non-commercial use. None of the content may be downloaded, copied, reproduced, transmitted, stored, sold, or distributed without the prior written consent of the copyright holder. This excludes the downloading, copying and/or printing of pages of the Website for personal, non-commercial home use only. 7.4 Any link to other websites is not an endorsement of such websites, and you acknowledge and agree that we are not responsible for the content or availability of any such sites. 8.2 To the extent permitted by law, KALOREL will not be liable for any indirect or consequential loss or damage whatever (including without limitation: loss of business, opportunity, data, profits) arising out of or in connection with the use of the Website. 8.3 KALOREL makes no warranty that the functionality of the Website will be uninterrupted or error free, that defects will be corrected, or that the Website or the server that makes it available are free of viruses or anything else which may be harmful or destructive. 8.4 Nothing in these Terms and Conditions shall be construed so as to exclude or limit the liability of KALOREL for death or personal injury as a result of the negligence of KALOREL or that of its employees or agents. You agree to indemnify and hold Kalorel and its employees and agents harmless from and against all liabilities, legal fees, damages, losses, costs, and other expenses in relation to any claims or actions brought against Kalorel arising out of any breach by you of these Terms and Conditions or other liabilities arising out of your use of this Website. These Terms and Conditions shall be governed by and construed in accordance with the law of Florida, USA, and you hereby submit to the exclusive jurisdiction of the Florida USA courts.